Spring in India can be a rough time for farmers in a warming world. 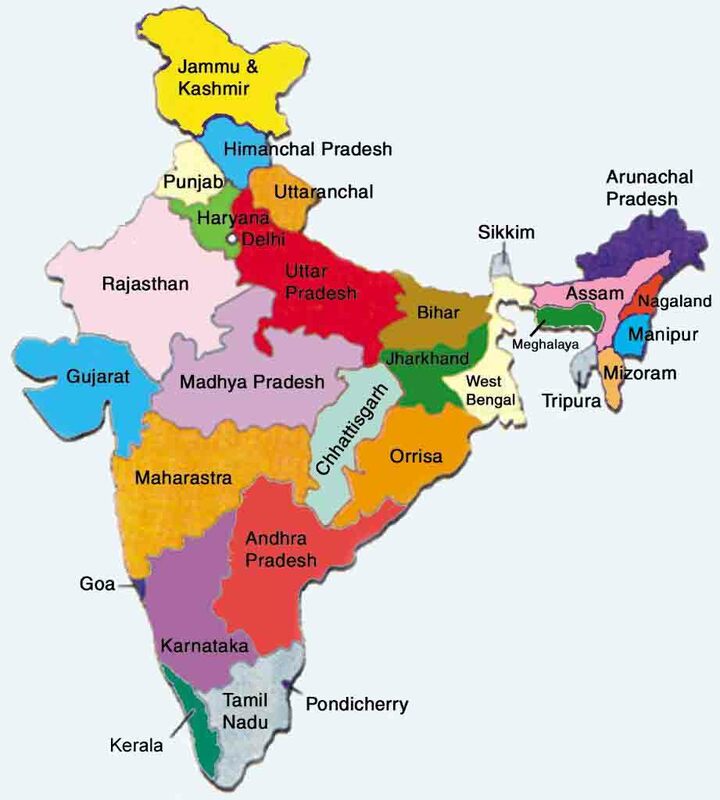 The vast, flat lands that compose much of India depend on waters flowing down from snow melting in the Himalayas. And a reliable influx of moisture in the form of the Southeast Asian Monsoon is a much-needed backstop to the heat and dryness of April, May, and early June. But the warming of our world through fossil fuel burning and related greenhouse gas emissions is causing the glaciers of the Himalayas to melt. It is causing temperatures during spring to increase — which more rapidly dries the rivers and wells of India’s plains. It is creating a hot, dry atmospheric barrier that increasingly delays the onset of India’s monsoon. And since the 1950s India’s rainfall rates have been decreasing. All of these effects are related to human-caused climate change. However, what since the mid-20th Century had been a steadily worsening state of affairs has, over recent years, tipped into a more difficult to manage set of events. During 2015, a delayed monsoon resulted in India receiving about 14 percent less rain than expected. During 2016, severe heatwaves exacerbated a drought that put 330 million people under water rationing. The 2016 monsoons finally halted this severe water crisis. But underlying shortages persisted through March of 2017. Today, sections of South India in a region with a combined population of about 145 million continue to see severe water stress. The state of Kerala is experiencing its worst drought in over a Century. Tamil Nadu, which slipped into drought on January 10th, now shows all 32 districts reporting water shortages. And in Karnataka, reservoir levels have now dipped below 20 percent as almost all districts were reporting drought conditions. Farmer suicides from these regions remained high throughout the year. And reports indicate that inability to grow staple crops in these regions has resulted in reports of people relying on eating rats for food. These are tough conditions. But the worst may be yet to come for 2017. April, May and June is the hottest, driest period for India. And the state is entering this season with almost a 150 million people already facing water stress. Moreover, the warming of Equatorial waters in the Pacific as another El Nino is again expected to emerge increases the risk that the 2017 monsoon could be delayed or weakened. So with a water crisis now ongoing in the south, conditions are likely set to worsen soon. El Nino has yet to be declared. 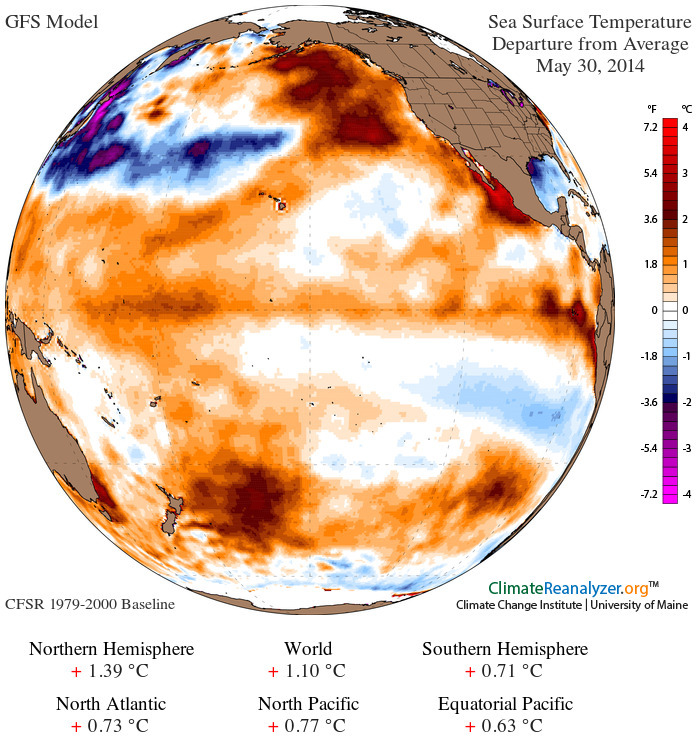 Though signs of the Pacific Ocean warming event abound, they are still in the early stages. But for all the impact on the current Indian Monsoon — the rains this vast sub-continent depends on each year for a majority of its crops — the current pre-El Nino may as well be a monster event comparable to 1998. For the rains that have come so far have been feeble. By June 18, precipitation totals were more than 50% below the typical amount by this time of year for northern and central India and 45% below average for the country as a whole. A stunted Monsoon that many are saying is about as weak as the devastatingly feeble 2009 summer rains. And with Pacific Ocean conditions continuing to trend toward El Nino, there is concern that this year’s already diminished rains will snuff out entirely by mid-to-late summer, leaving an already drought-wracked India with even less water than before. It’s not just that 2014 is a bad year for India. It’s that the current weakened monsoon comes at the tail end of a long period in which the rains have increasingly failed. Where in the past it took a strong El Nino to stall the rains, ever-increasing human atmospheric and ocean warming have pushed the threshold for Monsoonal failure ever lower. Now even the hint of El Nino is enough to set off a dry spell. A growing trend of moisture loss that is bound to have more and more severe consequences. A new study by Stanford University bears out these observations in stark detail. For the yearly monsoon that delivers fully 80 percent of India’s rains has fallen in intensity by more than 10% since 1951. And though a 10% loss may seem relatively minor, year on year, the effects are cumulative. Overall, the prevalence of dry years increased from 1981 to 2011 by 27% and the number of years experiencing 3 or more dry spells doubled. Meanwhile, though a general drying trend has taken hold, rain that does occur happens in more intense bursts, with more rain falling over shorter periods. These newly intensified storms are more damaging to lands and homes, resulting in both increasing destruction of property while also greatly degrading the land through more intense erosion. Loss of annual monsoonal rains is coming along with a dwindling of water flows from the melting Himalayan glaciers. These two climate change induced drying effects are already having stark impacts. For according to the Indian Government’s Fifth National Report on Desertification, Land Degradation and Drought, a quarter of India’s land mass is now experiencing desertification even as 32 percent is suffering significant degradation due to heightening dryness and erosion. This amounts to more than 80 million hectares of land facing desertification while more than 100 million hectares are steadily degrading. The report also noted that areas vulnerable to drought had expanded to cover 68% of the Indian subcontinent. Desertification and loss of biological potential will restrict the transformation of dry lands into productive ecosystems. Climate change will further challenge the livelihood of those living in these sensitive ecosystems and may result in higher levels of resource scarcity. 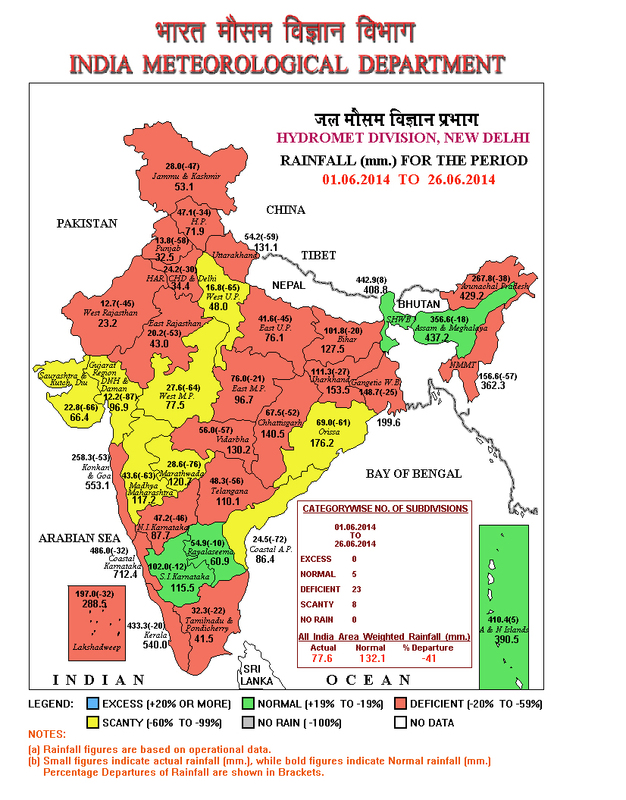 By today, June 26, the long disrupted and weakened monsoon continues to sputter. Moisture flow remains delayed by 1-2 weeks even as the overall volume of rainfall is greatly reduced. 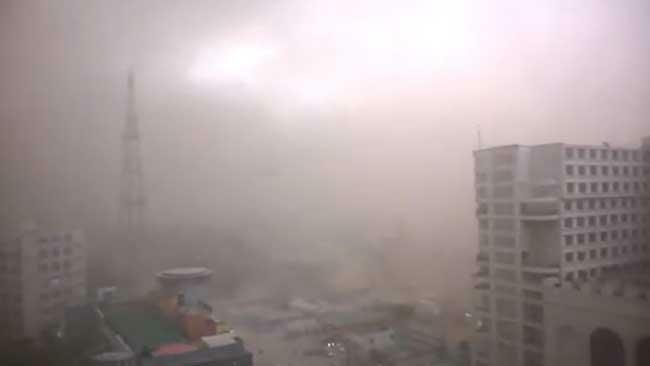 Though storms have exploded over some provinces, resulting in flash flooding, much of the country remained abnormally dry. Overall, preliminary negative rainfall departures remained at greater than 40% below average for most of the nation with only five provinces receiving normal rainfall and the remaining 31 receiving either deficient or scant totals. May is the month when the massive rainstorm that is the Asian Monsoon begins to gather and advance. This year, as in many other years, the monsoon gradually formed along the coast of Myanmar early in the month. It sprang forward with gusto reaching the Bay of Bengal by last week. And there it has stalled ever since. 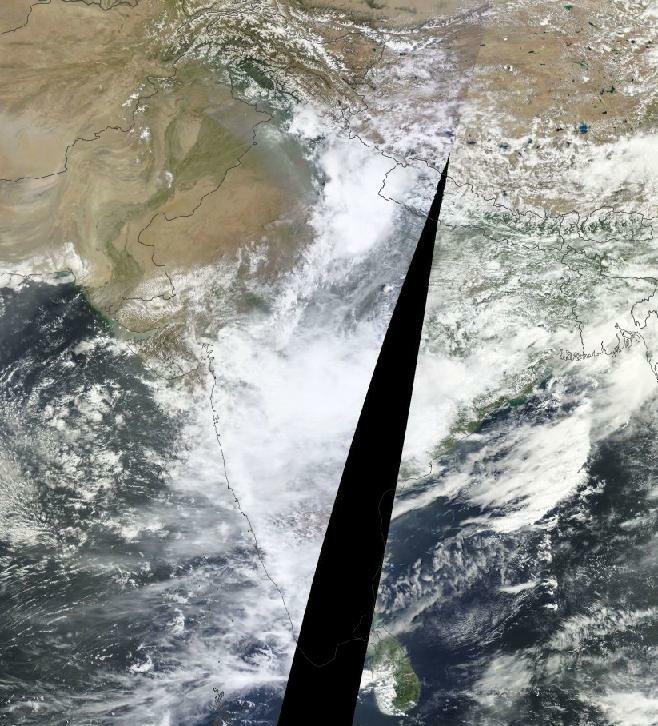 On May 25-27, an outburst of moisture from this stalled monsoonal flow splashed over the coasts of India. But by the 29th and 30th, these coastal storms and even the ones gathering over the Bengali waters had all been snuffed out. 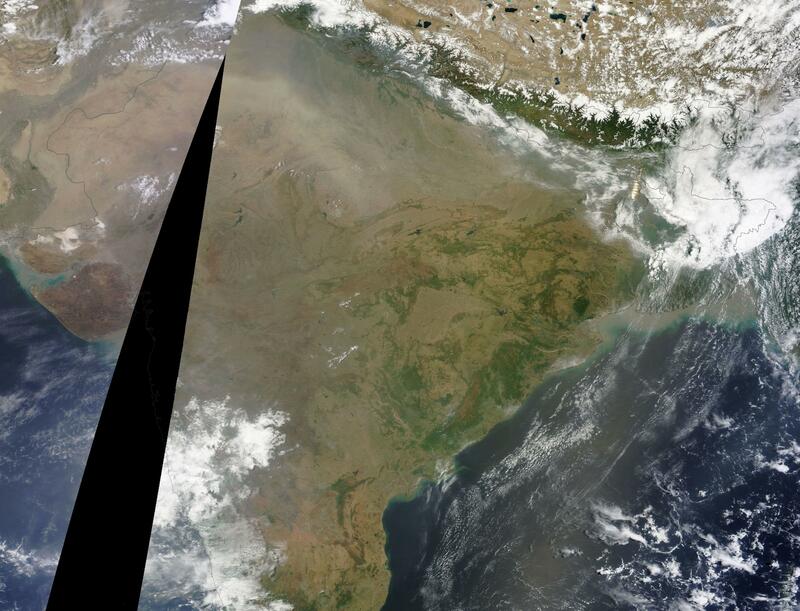 The most prominent feature in the MODIS shot of India today isn’t the rainfall that should be now arriving along the southeast coast, but the thick and steely-gray pallor of coal-ash smog trapped under a persistent and oppressive dome of intense heat. Official forecasts had already announced as of May 27th that the annual monsoon was likely to be delayed by at least a week for southeast regions of India. Meanwhile, expected monsoonal rainfall for western and northern sections of India for 2014 fell increasingly into doubt. The monsoon is likely to be delayed by 10 days, according to scientists at the Indian Institute of Tropical Meteorology (IITM) here. The IITM’s third experimental real-time forecast says that a feeble monsoon will reach central India after June 20 as against the usual June 15. Last year, the monsoon had covered the entire country by June 15. The annual monsoon is key to India’s agriculture. The substantial rains nurture crops even as they tamp down a powerful heating that typically builds throughout the sub-continent into early summer. Without these rains, both heat and drought tend to run rampant, bringing down crop yields and resulting in severe human losses due to excessive heat. But, this year, heat and drought are already at extreme levels. As early as late March, the heatwave began to build over the Indian subcontinent. The heat surged throughout the state, setting off fires, resulting in a growing list of heat casualties, shutting down the power grid and spurring unrest. Meanwhile, impacts to India’s agriculture were already growing as the Lychee fruit crop was reported to have suffered a 40% loss. By late May, temperatures across a broad region had surged above 105 degrees shattering records as the oppressive and deadly heat continued to tighten its grip. 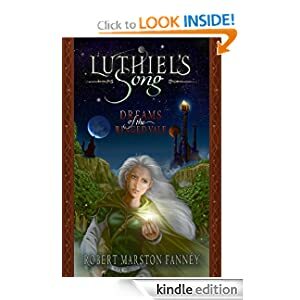 In a country surrounded on three sides by oceans, it is a combination of heat, humidity and persistently high night-time temperatures that can be a killer. Wet bulb temperatures surge into a high-risk range for human mortality during the day even as night-time provides little respite for already stressed human bodies. Such extreme and long-duration heat doesn’t come without a sad toll. As of today, early reports indicated a loss of more than 56 lives due to heat stroke (In 2012 and 2013, total Indian heat deaths were near 1,000 each year). That said, final figures on heat losses are still pending awaiting complete reports from all of India’s provinces. “Climatologically, we know that heatwaves are increasing in frequency and the number of days exceeding 45ºC temperatures is increasing. The frequency will increase further with global warming, hence this is a good example of a situation where science and disaster management can come together and avert damage,” a spokesman for India’s National Disaster Management Authority noted on Friday. Today the heatwave continued to gain ground, with Kota and Rajasthan reaching an all-time record of 116 degree F (46.5 C) as New Delhi’s mercury hit 113 degrees F in the midst of a drought-induced dust storm. 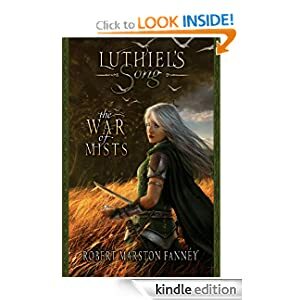 Dust shrouding the city spurred traffic chaos and in the heat, darkness, and confusion nine more souls were lost. After two months of growing disruption due to heat and drought, the lands and peoples of India cry out for a Monsoon that is running later and later with each new weather report. As systems approach tipping points, they are more likely to tilt toward the extremes. For India this year, its seasonally warmest period from April to May found severe heat amplification from a number of global factors. First, climate change seeded the ground for the current Indian heatwave by adding general heat and evaporation to already hot conditions. With global average heating of +0.8 C above 1880s levels amplifying in the hot zones, early moisture loss due to higher-than-normal temperatures produces a kind of snowball effect for still more warming. Essentially, the cooling effect of water evaporation is baked out early allowing for heat to hit harder just as typical seasonal maximums are reached. In addition, this year saw rapid progress toward an El Nino event in the Pacific Ocean with sea surface temperatures warming into the El Nino range by mid-May and continuing to ramp higher. By today, Equatorial Pacific anomalies had hit +0.63 C according to GFS analysis, extending a run into El Nino conditions. El Nino events typically allow for the formation of hot, drier air over India. These air masses tend to engender extreme heatwaves like the one we are seeing now even as they delay the onset of cooling monsoonal rains. In essence, the monsoon is confronted with a heavy and entrenched wall of hot air that doggedly resists being shoved aside. And this is the very situation we observe now over India — a sputtering monsoon to the east getting bullied by a brutally hot and thick air mass that just won’t give ground. Climate change only exaggerates the problem by increasing the intensity and inertia of the hot air mass. Major monsoonal disruptions typically occur during years following an El Nino’s peak heating impact. For example, in 1998, during a period following an extreme El Nino, India suffered one of its most severe droughts and monsoonal delays on record. But during recent years preceding El Nino, such as 2009, India also saw severe heat, drying, and crop damage due to a weakening of the annual summer rains. So an early monsoonal enfeeblement and coincident strong heatwaves and droughts over India with El Nino still forming is cause for some concern and bears further monitoring. Currently, temperatures over India are surging to between 5 and 12 degrees Celsius above already hot averages. With heat and drought firmly in place, forecasts are calling for a 1 to 2 week delay in the cooling and moisture-bringing monsoon as India continues to swelter.